Never give any information about your ATM card or PIN over the telephone. For example, if you receive a call, supposedly from your bank or possibly the police, wanting to verify your PIN, do not give that information. Notify the police immediately. 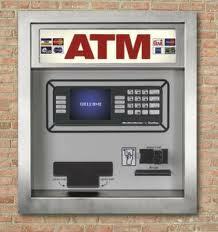 Have your ATM card ready and in your hand as you approach the ATM. Don't wait to get to the ATM and then take your card out of your wallet or purse.